Celebrate 8 years of Lugang Cafe with their P88 Xiao Long Bao! 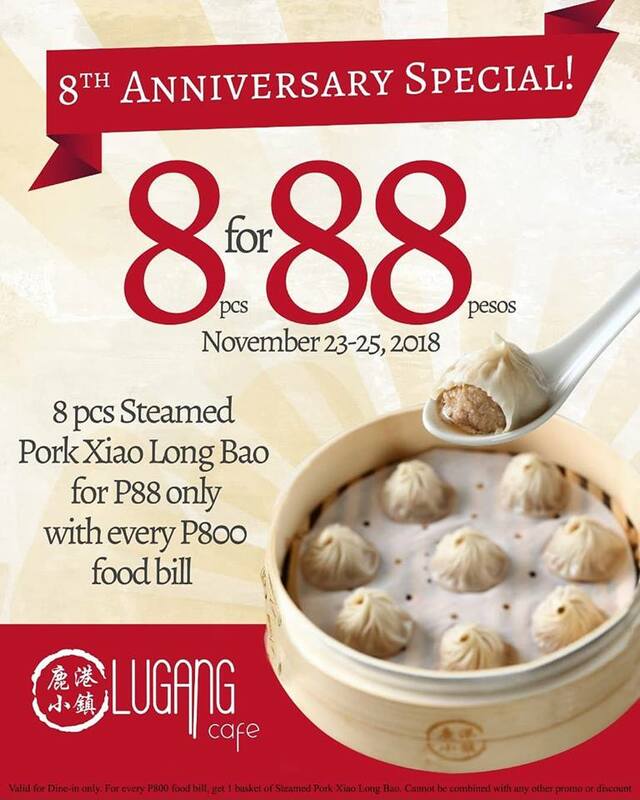 On November 23-25, 2018, your favorite Steamed Pork Xiao Long Bao will be yours for only P88 for every P800 food purchase! XLB fans, don't miss out!